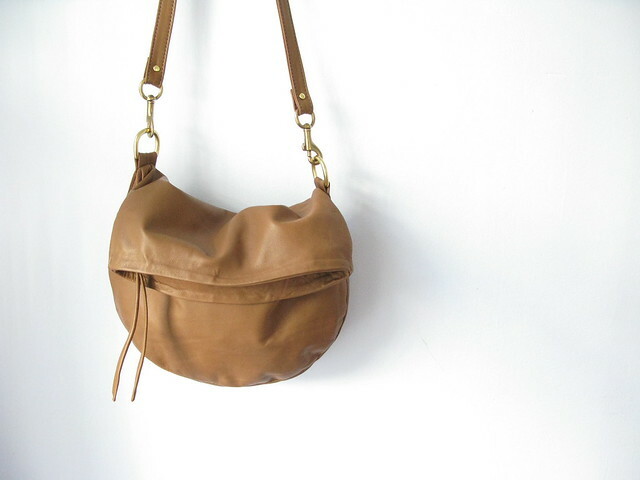 Coffee brown lambskin 'kirsten' bag. Solid brass hardware, leather is very soft and supple. Zipper closure with long leather toggle. This bag is a sample because the zipper should have been about 1.5" longer than it is, but don't worry, it's still totally functional- there's just small gap on one end, but not big enough for any contents to fall out. Lined with a cream linen, no interior pockets. 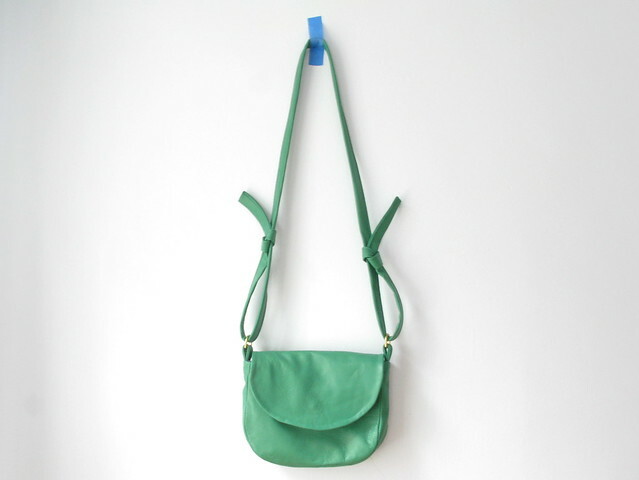 Strap, including the brass swivel snap: 36"
$60 + $10 for shipping in the US. SOLD! Happy to ship internationally as well, but I only ship priority mail which tends to be between $26-38 depending on your location. Drop me an email at julia@renneshandmade.com if you are interested! 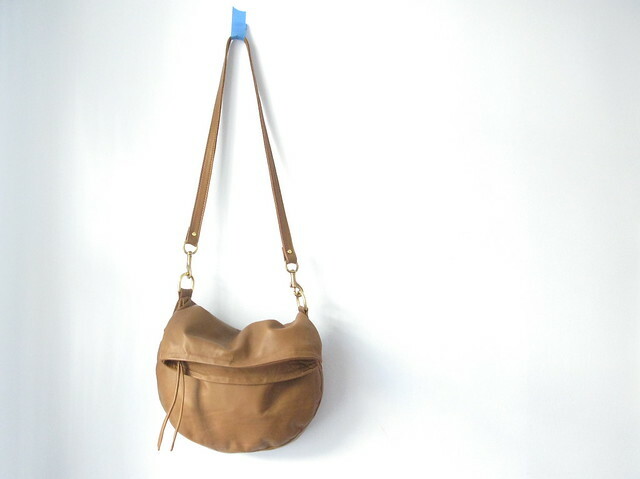 I also have the same bag, a non-sample, in a crinkled coral leather with a chambray lining. Was going to keep it for myself, greedy me, but I don't need another bag. Pictures of that one available on request, the price would be $200. Add on : Whoops! I also just realized I still have this bag too! 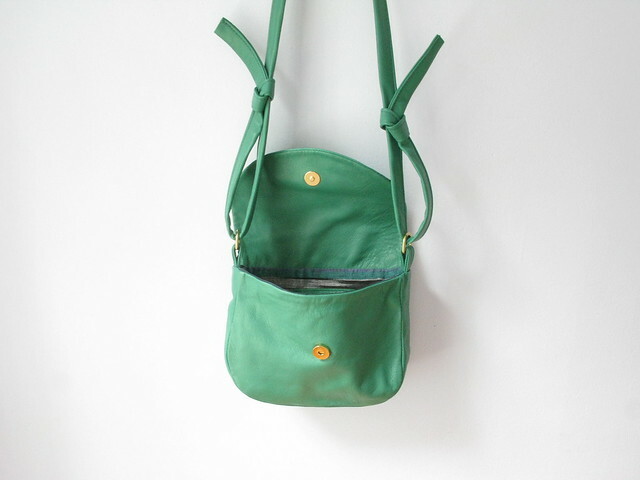 A kelly green gables satchel with an ikat cotton lining. Spring cleaning , or should we say, summer cleaning? $80 + $10 for shipping in the US!